"Chucky" indeed has returned to the Bay Area in the form of Jon Gruden, but that definitely wasn't the new Oakland Raiders head coach riding shotgun with an East Bay motorist. 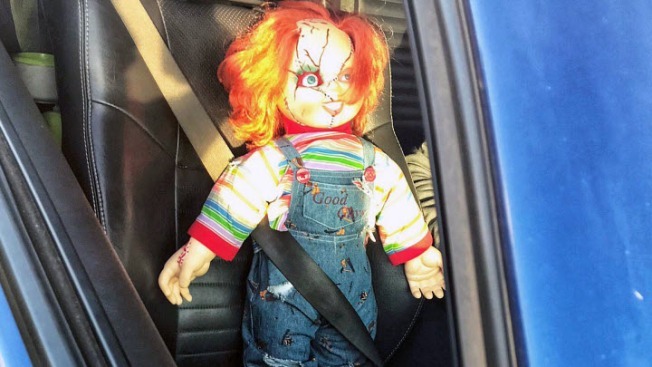 A California Highway Patrol officer pulled over a driver Thursday for a carpool violation and was quite amused to find a Chucky doll strapped into the front passenger seat. The CHP thought it was such a clever ploy, it sent a tweet about it -- then completed its duty of enforcing the law. The tweet reads: "We know JON GRUDEN is back, and we love it too, but this will definitely not work as your carpool passenger! But hilarious! A for effort ... and here’s your carpool ticket." Gruden was given the nickname Chucky during his first coaching stint with the Raiders for his resemblance to the horror movie doll when he scowled in anger on the sideline.